Christopher Eccleston will officially be playing new villain Malekith the Accursed in Marvel’s blockbuster superhero sequel Thor The Dark World. Mads Mikkelsen had previously been the studios first choice for the role, but he recently turned down the project in favour of the lead role in NBC’s Silence of The Lambs spin-off TV series Hannibal. Now Dr Who & GI Joe actor Christopher Eccleston has joined the cast alongside returning stars Chris Hemsworth, Tom Hiddleston Natalie Portman, Idris Elba and Stellam Skarsgard. 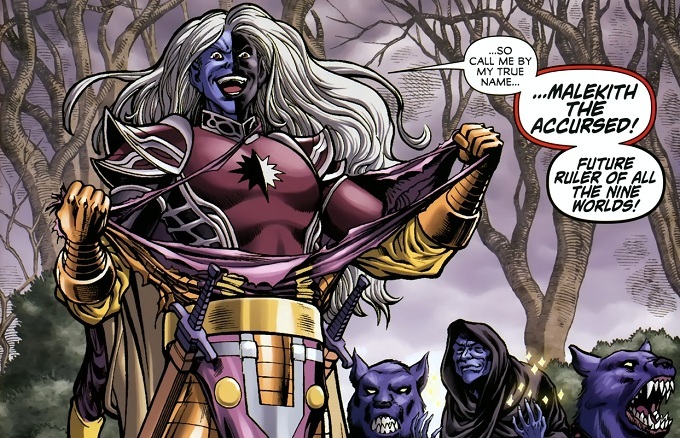 Malekith the Accursed is the leader of the Dark Elves of Svartalfheim and a deadly foe of mighty Demi-God Asgard Warrior Thor familiar to fans of the original comics. Alan Taylor is replacing Kenenth Brannagh on directing duties, based on another script by Thor screenwriter Don Payne. Production is set to start in September with five weeks filming of a massive scale battle scene taking place in Surrey using hundreds of extras. The end results will be crashing into cinemas like thunderous lighting in November 8th 2013.